If you’ve yet to explore this magical little paradise 13 miles off the coast of Rhode Island, you should definitely change that ASAP! 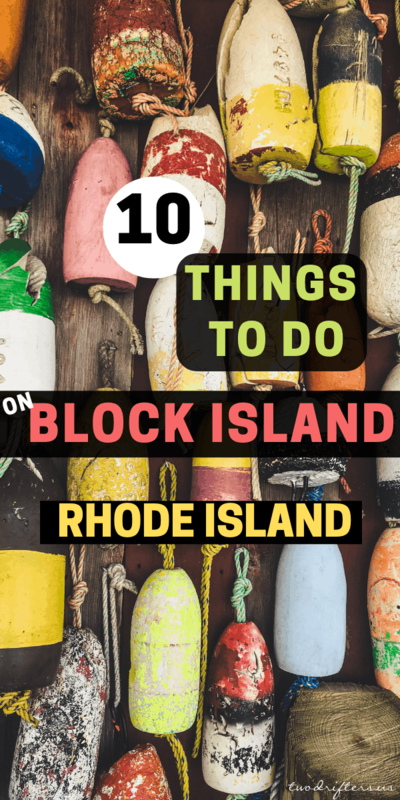 There are so many beautiful places to see and fun things to do on Block Island, you’ll want to immediately book a trip for this summer. 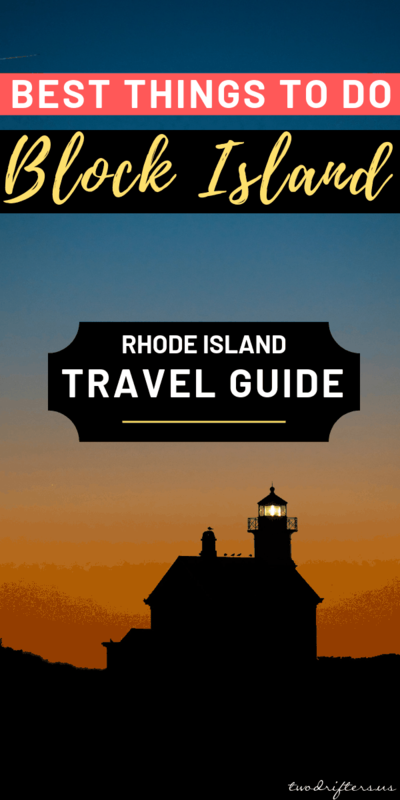 This is a guest post by Rhode Island blogger Allie Herzog. First things first: how to get there. You can get to Block Island by boat or plane, but most people opt to “sail away on the Block Island Ferry” to begin their journey. Just 30 minutes away via the fast ferry in Point Judith, RI, it’s also worth mentioning that if you plan to bring your car aboard the ferry, you’ll need to book it way in advance to ensure a spot. They start taking ferry reservations for the coming season in early January each year, and the prime weekend slots tend to fill up quickly, so plan ahead, or better yet, leave your car at home and stick to walking, biking and swimming as your preferred modes of transportation during your visit. Block Island is a beautiful place year round, but the population drastically decreases in winter months and very few businesses are open, so you’ll want to plan your trip between May and October when there are the most lodging options available, the weather is favorable and the shops, restaurants, and bars are all open for business. Once you step foot on the island, be prepared to slow down and enjoy life on “island time” for a bit. Here’s what I recommend you do and see while there. Just steps from the ferry landing in Old Harbor, this is many people’s first – and sometimes only – stop on a day trip to the island. It’s easy to stay put, as they have everything you need for a day of fun in the sun. There’s a private beach complete with lounge chair and umbrella rentals, tiki bars, beach volleyball, daily live music, and waitress service so you can dine and drink without ever leaving your spot in the sand. Order up one of their specialty drinks served inside a whole carved pineapple, and you’ll feel about as tropical as it gets here in the Northeast. If you decide to make a night of it, there’s also an onsite hotel, and private beach bonfires can be arranged. Standing about 200 feet above sea level, the views from these cliffs are undoubtedly some of the best on the island, but it doesn’t end there. After taking in the scenery from the top, you’ll want to muster up all your energy and make the trek down the 141 stairs to the beach below, where you’ll be rewarded with more spectacular views and an uncrowded spot to lay your towel down for the afternoon and soak up some rays. A bit off the beaten path, but totally worth it. Forgo the town beach and head to the best of Block Island beaches. Continue on until you come to a dirt road with a sign for Mansion Beach, where you’ll find a big dirt parking lot and a path straight down the beach, which offers great waves and great views. Whether you’re looking for a leisurely ride or an adventurous one, exploring the island by bike or moped is definitely the way to go. 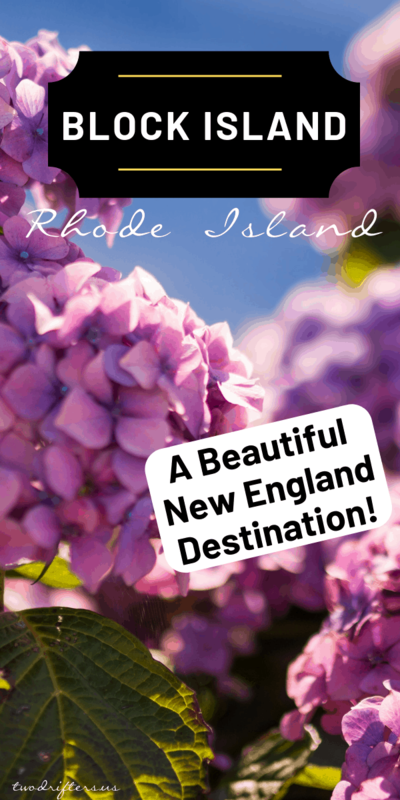 You can visit the island’s famous lighthouses, explore the nature trails, beaches, and Great Salt Pond, and take frequent stops for a bite or a beverage along the way. Several places in town offer rentals, tours, and maps, including Old Harbor Bike Shop, Island Bike, and Aldo’s Mopeds. There’s certainly no shortage of places to eat and drink on Block Island, but this sandwich alone is worth a visit to Dead Eye Dicks, which is located in the New Harbor section of the island and offers lunch, dinner, cocktails and stunning sunset views from their deck. Those who frequent Block Island know that mudslides are the unofficial cocktail of choice while on island time. One of the best around is served at the Oar, a casual outdoor spot overlooking the Great Salt Pond. As the name implies, the walls are adorned with personalized oars from the many visitors throughout the years. Go for the mudslide, stay for the delicious food, people watching and spectacular sunsets. Looking for a casual bite and a beer right in town? Pop into the Mohegan Café for a frosty brew and a menu that has a little something for everyone. Located right across from the ferry landing in Old Harbor, you can watch the boats pulling in and out if you’re lucky enough to grab a window seat. Whether you’ve got kids in tow, or you’re just an animal lover yourself, you’ll definitely want to plan a stop at the 1661 Inn Animal Farm located on the property of Block Island Resorts. They’ve got all kinds of animals roaming around, including the famed ZeeDonk – a zebra/donkey hybrid. A short walk from town, this B&B is a tranquil little escape from the real world. The first time we stayed here and asked for our room key, the innkeeper literally laughed and said something to the effect of “oh you must be from NYC.” Needless to say, door locking isn’t necessary here and yes, we were visiting from Manhattan at the time, so this concept was a bit foreign to us! Most rooms here come with a private bath and porch or garden sitting area, which is perfect for enjoying the hand-delivered homemade breakfast that arrives each morning in a basket, along with a thermos of hot coffee and carafe of fresh juice. Click here to see latest prices & book. 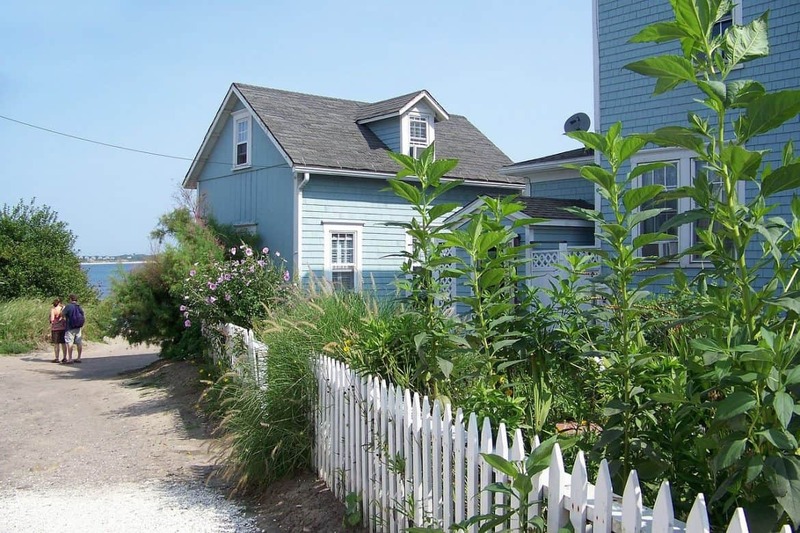 Like most places on the island, this property has a rich island history dating back to the 1800s. The recently renovated inn run by two sisters now offers 11 stylish and comfortable rooms and suites, including pet and kid-friendly accommodations, daily happy hours, complimentary beach chair and towels and a short walk to the beach and town. Click here to check the latest prices & book. Block Island is a place like no other, offering the best combination of classic New England charm, the chance to unplug, slow down and relax, delicious food and drink, and some of the best natural beauty in the region. If you haven’t yet experienced it, I highly encourage you to hurry up and make that ferry reservation today! 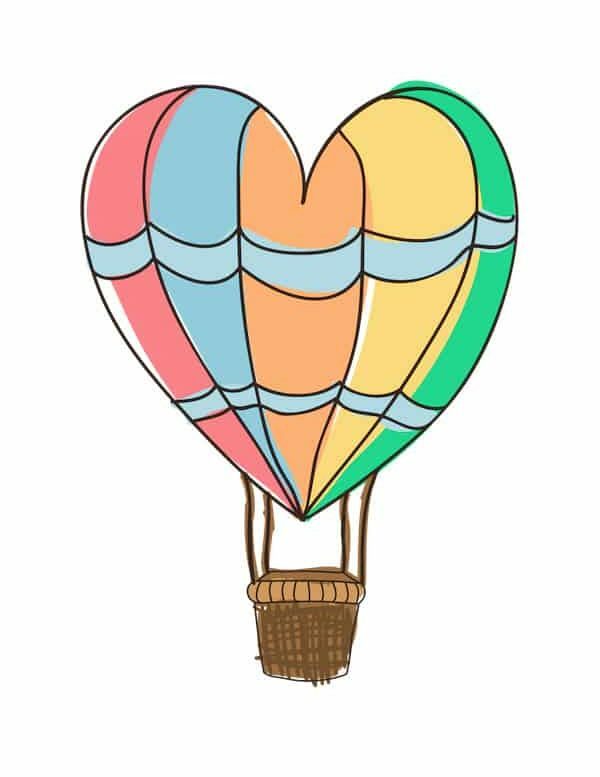 About the Author: Allie Herzog is a NY transplant currently living by the sea in little Rhody. She is a writer, blogger and social media consultant, currently chronicling her adventures as a working mama, beach lover, and dreamer at heart on her blog, alliezog.com. You can find her writing in various publications throughout New England, where she often writes about her favorite restaurants, bars, local businesses and hidden gems.